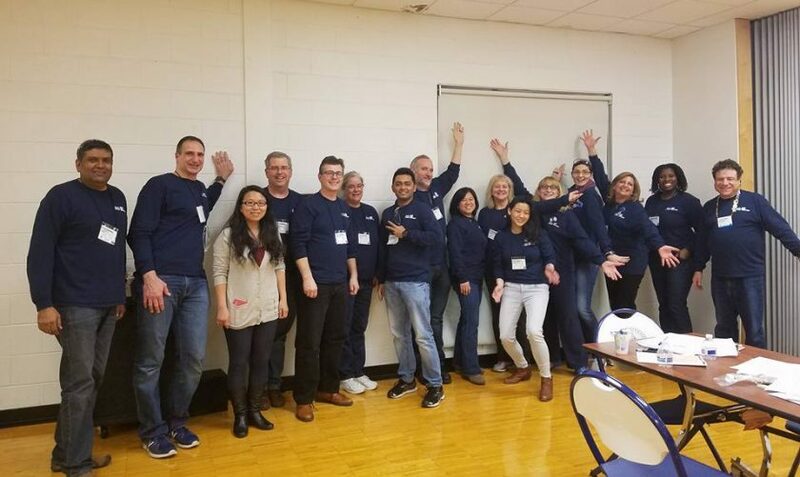 February 5th, Seidenberg hosted the 8th annual challenge that saw teams from New York and nearby states descend upon our Pleasantville campus and compete for prizes. Teams comprised of grades 7-12 students who, over a period of months, had to design, build, and program robots to complete specific types of challenges. They don’t go in unprepared, though. Dr. Richard Kline of the Seidenberg School and organizer of the event also arranges training workshops for students so they can learn. Robot building and programming is at “team workshops where high school students learn design and programming skills using Java and the Android Studio mobile app development system,” said Dr. Kline. Each year, the contest is different, so even competitors who have taken part before had a unique challenge on their hands! The excitement in the air was palpable in the moments before the first round of the tournament kicked off. “This is your Super Bowl,” Seidenberg Dean Jonathan Hill told the crowd in his opening remarks. Dr. Kline thanked everybody for coming out to the championship, which we have also hosted in previous years. He went on to emphasize the main tenets of the First Tech Challenge (FTC) events: gracious professionalism and acting with kindness and respect in the face of fierce competition. Then it was time to start! 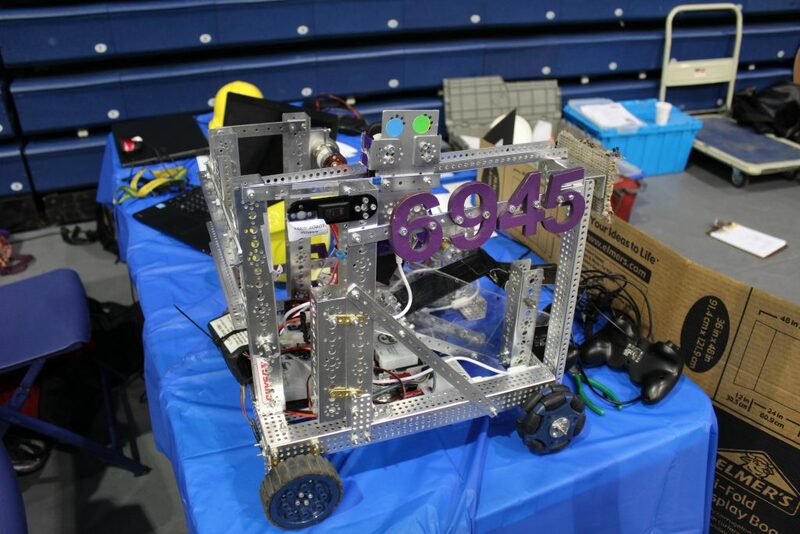 Challenges in the competition focused on teams’ abilities to make quick decisions, as they received just 30 seconds to program their robots followed by two minutes where they could use controllers to move them around. The game was called Velocity Vortex. Robots were tasked to scoop up wiffle balls and a larger yoga ball and throw them into hoops, kind of like basketball. While doing so, they could also claim beacons, which were lights that could be triggered to display their team color. Each team played in 5 matches for the chance to win trophies, scholarships, internship opportunities and good old fashioned glory. It was an exciting and memorable event, helped by the continued dedication of Dr. Kline and volunteers that helped the day run smoothly. 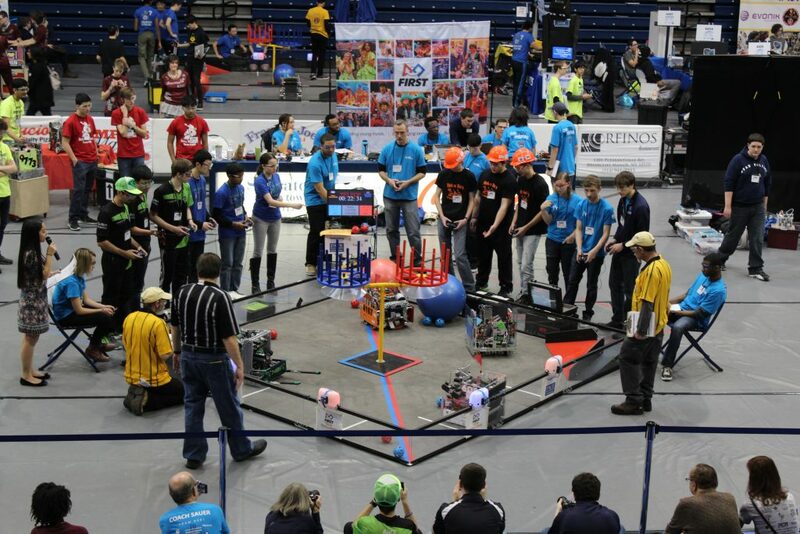 The FIRST [For Inspiration and Recognition of Science and Technology] Tech Challenge (FTC) Championship is happening this weekend, on Sunday February 16th, as we briefly mentioned in a recent post. With the date fast approaching, we’re eager to tell you more about the event. FTC is an annual tournament for students of ages 12-18, lasting from September, when the year’s project topic is revealed, until April, when the world championships are held. 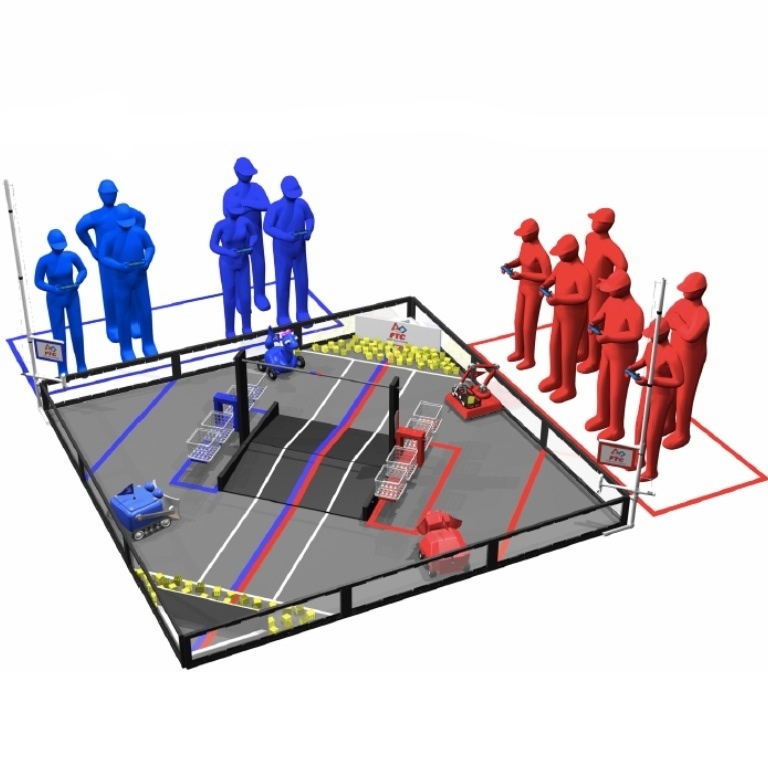 This year’s topic, titled “BLOCK PARTY!,” is a square-fielded game that will peg two-teamed ‘Alliances’ against each other in a match of obstacles and time limits with a points system to determine a winner. For this weekend’s challenge, 34 teams (down from the original 84 in the qualifying rounds across New York) will compete, and only 5 will move on to the next level in early April. 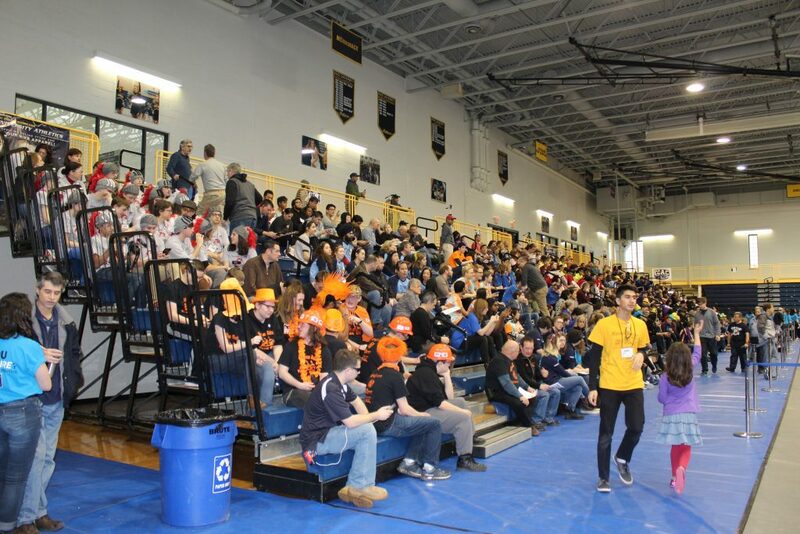 In preparation for the championships, more than 100 members of Pace’s community have helped make these games possible, namely Dr. Richard Kline, who is head mogul of the Hudson Valley chapter. The Seidenberg community has been involved with FIRST for more than a decade, not only for the Tech Challenge, but Lego Leagues as well. For more information about the tournament this weekend, or upcoming championships, visit Pace’s FTC page. 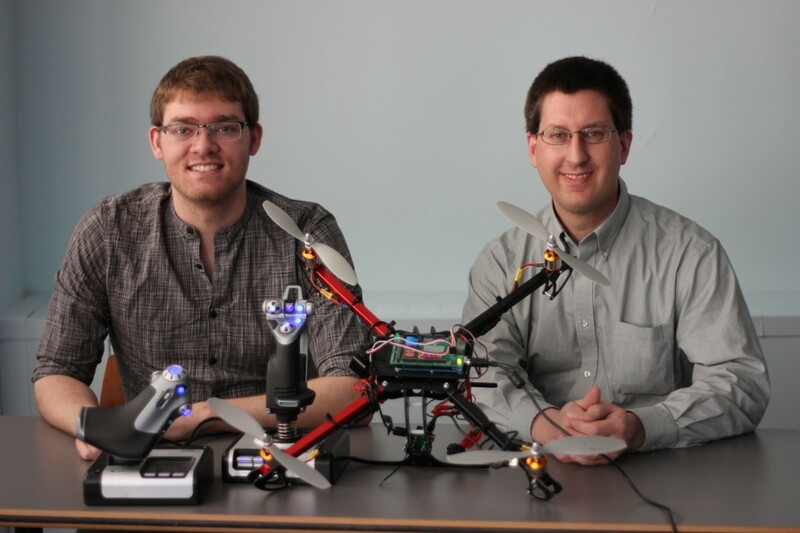 Pace’s Opportunitas page recently featured Seidenberg grad Keith McPherson, class of ’13, and Seidenberg Professor Rick Kline, PhD, who set out to build their own quadcopter drone. 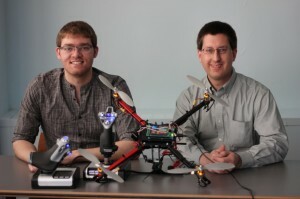 Through their experience building the hardware and software of the drone, they discovered plausible uses for drones, including commercial and journalistic purposes (though many types of commercial use are still illegal in the States).